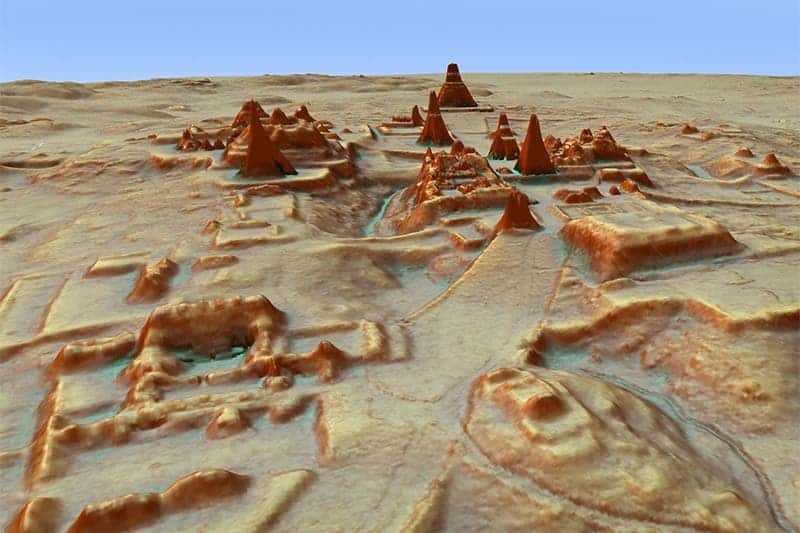 LiDAR or 3D map of Tikal. Credit: Luke Auld-Thomas and Marcello A. Canuto. More than 61,000 ancient Maya structures have been uncovered in Guatemala by a team comprised of only 18 researchers. Their secret? Laser tech known as LiDAR that can peer through the dense jungle and create a topographic map of thousands of square miles. Tikal (tee-KAL) is a ruined Maya city located in the northern Petén province of Guatemala, which used to be a very important and influential city during the heyday of the Maya Empire (1000 BCE-1500 CE). The first archaeologists who arrived at Tikal during the late 19th century had to trek several days through the steamy jungle in order to reach the long-lost city. Today, most of Tikal’s major buildings have been excavated, including structures such as the Plaza of Seven Temples, the Palace at the Central Acropolis and the Lost World complex. However, many other temples, buildings, and roads still lie hidden. But thanks to modern technology, modern archaeologists don’t have to wander endlessly through the jungle in search for artifacts and hidden ruins. 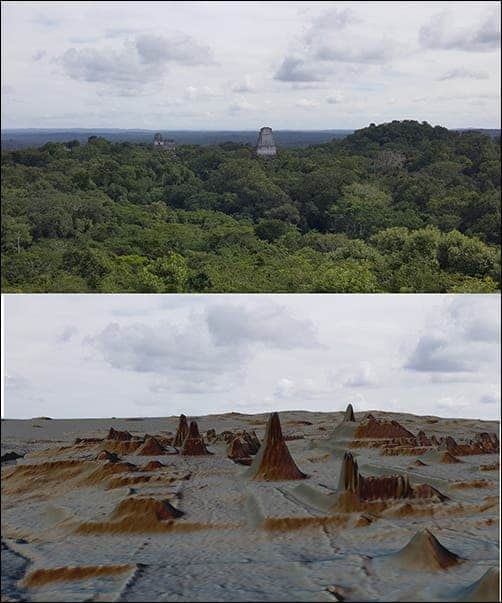 To peek through the dense vegetation, an international team of researchers strapped LiDAR (light detection and ranging) technology on a low-flying aircraft which surveyed 2,100 square kilometers of terrain around Tikal. Top: Tikal seen above the trees. Bottom: same view, this time stripped of vegetation by LiDAR. 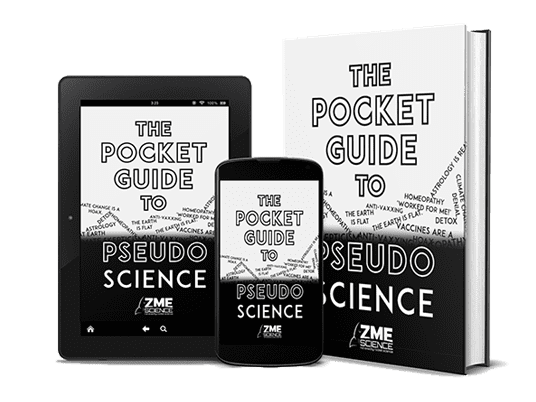 Credit: Luke Auld-Thomas and Marcello A. Canuto/PACUNAM. LiDAR or 3D laser scanning was developed in the early 1960s for submarine detection from an aircraft. It works by generating a laser pulse train which can travel through the gaps of dense vegetation. 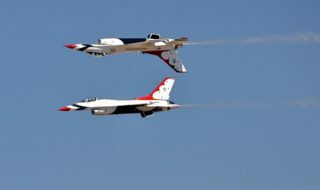 By calculating the time it takes for the laser pulse to reflect back to its source, researchers can determine the elevation of the ground. This way, archaeologists can identify human-made features on the ground, such as walls, roads, and buildings. According to Marcello A. Canuto, director of the Middle American Research Institute at Tulane, and Francisco Estrada-Belli, a research assistant professor and director of the Holmul Archaeological Project, the team was able to identify more than 60,000 structures in the Petén forest of Guatemala. 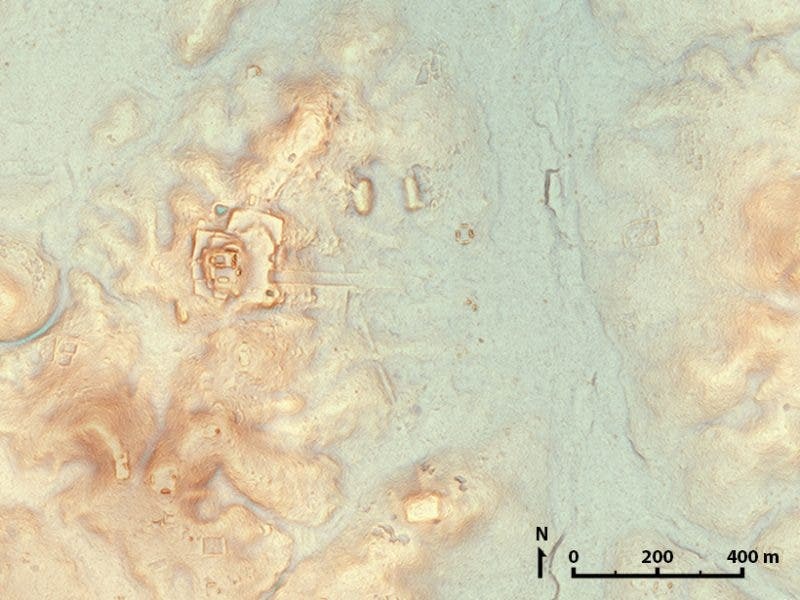 LiDAR map of another Maya settlements north of the ancient city of Tikal. Creidt: Luke Auld-Thomas/PACUNAM. The breathtaking video below offers a glimpse of the power of LiDAR and the intricate Mayan structures hidden beneath the canopies. 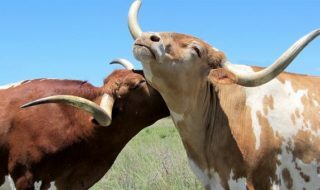 The new findings suggest that the Mayans used more advanced agriculture practices than previously thought. Roads linking many of the urban centers of the time also suggest that Mayan cities were more closely connected than earlier thought. “Seen as a whole, terraces and irrigation channels, reservoirs, fortifications and causeways reveal an astonishing amount of land modification done by the Maya over their entire landscape on a scale previously unimaginable,” Estrada-Belli added.